For Nursery fees please click here. Fees are inclusive of lunch and normal academic costs such as scientific and art materials and the loan of textbooks. 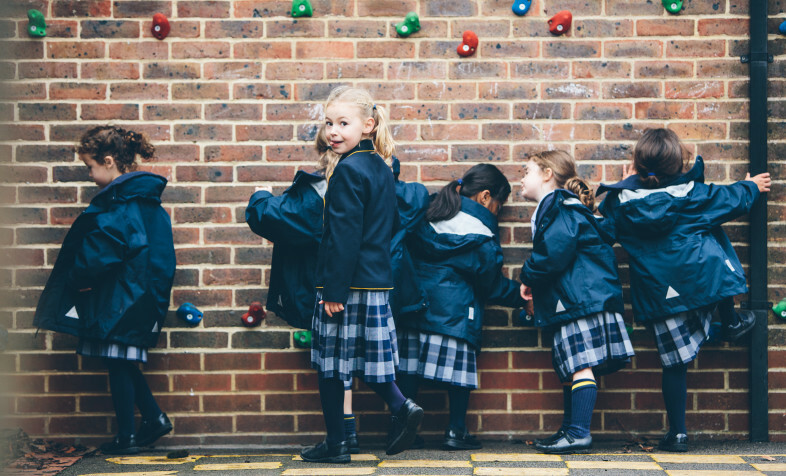 Our extended school day can also offer savings on childcare, find out more here. Fees are inclusive of lunch and normal academic costs such as stationery, scientific and art materials and the loan of text books in Years 7-11. In Years 10 and 11, pupils are encouraged to purchase some English course text books. Fees in the Sixth Form do not include text books. Occasional and flexi boarding is charged at £55 per night. See this page for more information about Boarding Options. Infants/Juniors – Pre and after School care is available, outside of normal school hours, from 8.00am until 6.00pm. There is no charge for this facility. The £100 registration fee for nursery or main school can be paid by cheque, banker’s draft or directly into the school’s bank account (see details below). If you would like to register your daughter for the nursery and main school there is a discounted registration fee of £150. Unless arrangements have been made in advance to pay by instalments all school fees must be paid on or before the first day of each term. All fees due for payment must be in Pounds Sterling. Cheques should be made payable to ‘Burgess Hill School for Girls’ and sent to the Bursar. Parents wishing to spread the payment of fees should contact the Bursar on 01444 237016 for further details. If you require our bank details for a direct payment, please contact the Registrar. A clear term’s notice in writing to the Head must be given by parents before withdrawing a pupil from the School, or a term’s fees must be paid in lieu. Other details concerning fees are set out in the school’s standard terms and conditions. *In the event that EYF funding is withdrawn for any reason, then the full fee would become payable.